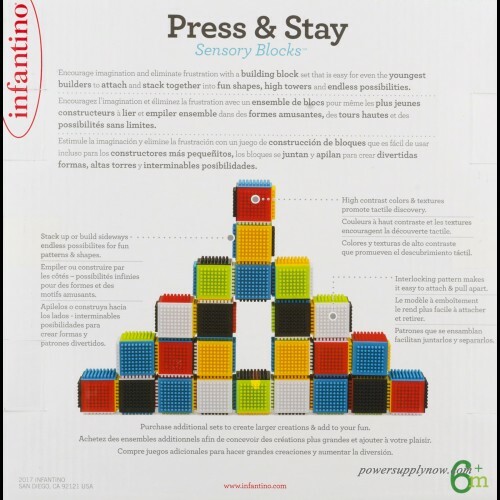 Infantino Press & Stay Sensory Blocks 6+m. With high contrast colors & textures. 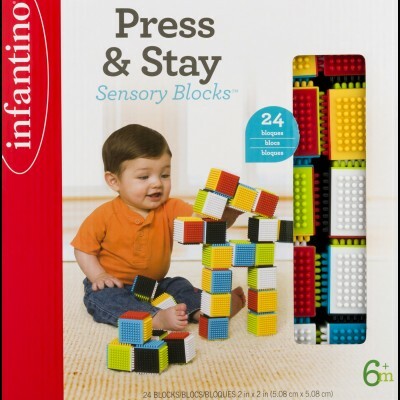 Encourages imagination and eliminate frustration with a building block set that is easy for even the youngest builders to attach and stack together into fun shapes, high towers and endless possibilities. Stack up or build sideways endless possibilities for fun patterns & shapes. Interlocking pattern makes it easy to attach & pull apart. 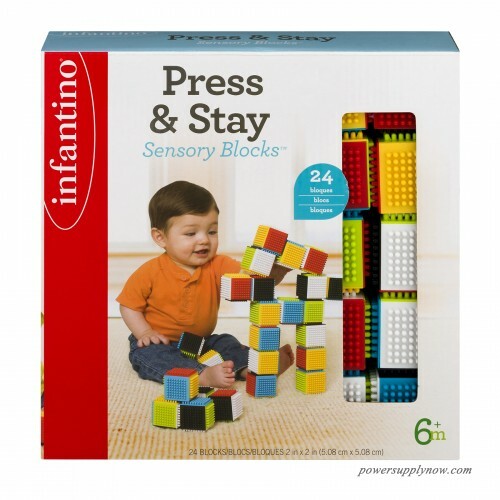 Building & stacking encourages hand-eye coordination & fine motor skills. 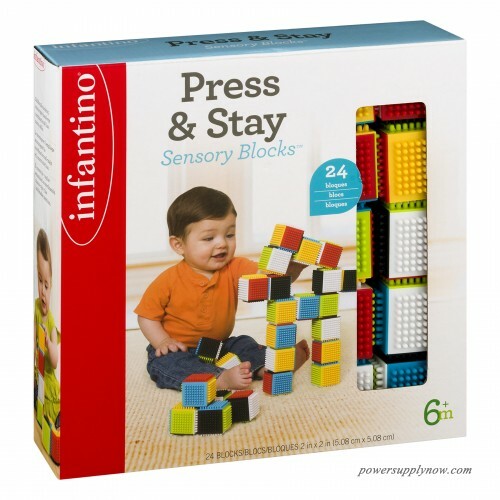 Perfect for little hands, blocks are easy to put together & pull apart. This easy-attach block set is perfect for first-time builders. The unique texture will attach from any side, not need to align perfectly, for frustration-free building. 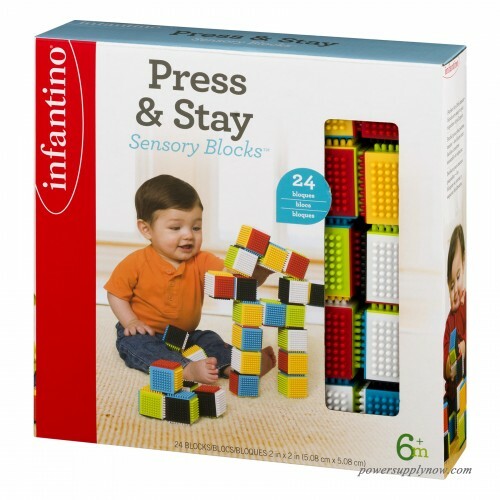 detailedDescription":"Infantino Press & Stay Sensory Blocks™ 6+m. 2 in x 2 in (5.08 cm x 5.08 cm).